In 2005, I begun a collection of historic poems based on the rich textile history of the Upstate of SC. In sum, eleven of the poems have appeared in literary journals, and I am now sending the manuscript out for publication as a chapbook. The poems tell the story of Lindy Lee, a fictional mill worker, and her life and family. The poems are based on historical research as well as interviews with family members who worked in Poe Mill and Union Bleachery. I also toured the Newry Mill and village, pictured below, before it was demolished. "Beach-glass" by JSpiess - JSpiess - photography shot in Eastern PA. 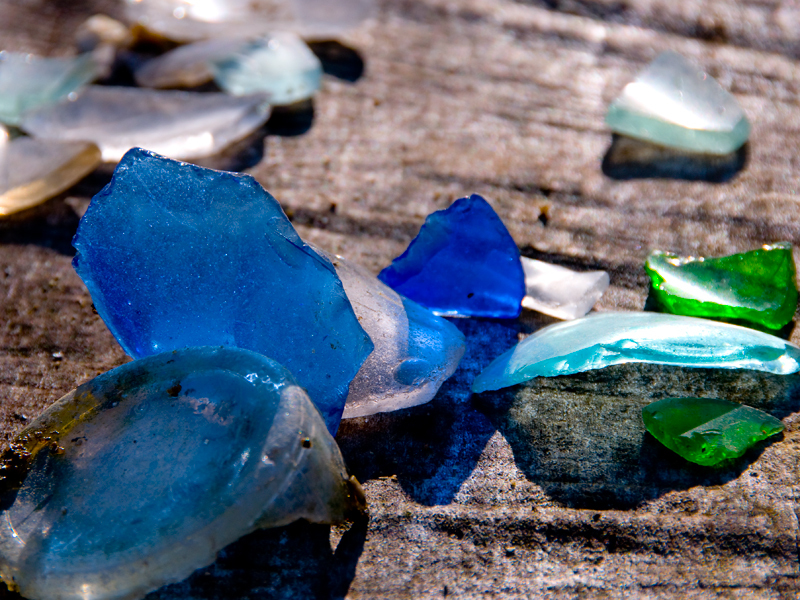 When I visited Newry Mill near Clemson,SC, I found shards of blue glass in the rubble. The glass shards and the story of how mill windows were bricked in the 1960's, inspired this poem.